Lena Younger (Claudia McNeil) is the matriarch of a family living in cramped quarters on Chicago's south side. Her husband has just died and she receives a check for $10,000 from the insurance company, quite a sizeable sum at the time. McNeil wants to get out of the ghetto and buy a decent house, then use the rest of the windfall to put her daughter through med school. 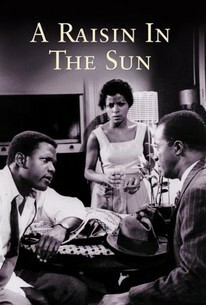 But her angry, ambitious son (Sidney Poitier), has other ideas.